The CT Meter is designed specifically for use with current transformers. When used with an external current transformer, it can accurately measure up to 10,000 amps. 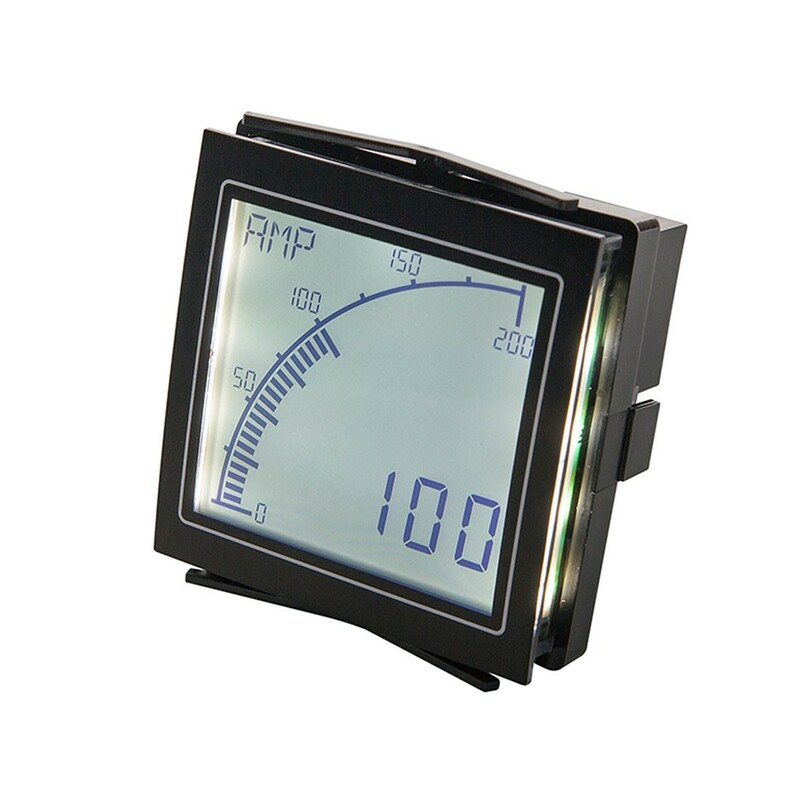 The CT Meter also provides a range of features, such as alarm set-points and three color dynamic backlighting. Featuring an acclaimed easy-to-read display, combined with easy-to-use programming software and a high resolution input, the CT Panel Meter is the newest addition to the Advanced Panel Meter (APM) product group to measure current. Reduced input range of 0-5AAC specifically designed for external current transformers. User preference in display range (min/max values), backlight color, two alarm set-points, and analog outputs. Range (CT Output Current): 0-5AAC. Backlight Color: Red, Green, or White. LCD Display: Positive or Negative. Operating Temperature: -10 to 60°C. Output Models: Max Voltage (34V), Max Current (500mA), Analog Output (4-20mA). Certification: UL and cUL, CE.